Williams has introduced a new front wing design for the German Grand Prix as part of an update package that it hopes will make its car more predictable. Just a fortnight on from a disastrous British Grand Prix, where both its cars had to start from the pitlane in the wake of a floor stall issue that wrecked qualifying, the team is hoping for a breakthrough with its new parts. For rather than the wing bringing more downforce, the idea behind the concept change is that it will make the car better balanced – so that drivers Sergey Sirotkin and Lance Stroll feel more confident in it. Speaking about the wing changes, Sirotkin said: "It doesn't give us any more lap time on paper. But what we really expect from all of these bits to do in the end of the day is to give us a stable platform. "As a consequence, it will give the drivers more confidence, but it all starts with getting the airflow stable to any other external situations." Sirotkin believed that the potential for a breakthrough at Williams meant that the Hockenheim weekend was a crucial one for the team's season. "It is quite important, because we've been working on these bits for quite a long time," he said. 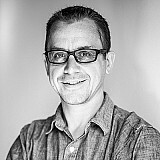 "We do really hope that it will do this [be more predictable] and if not, it will mean that we have some deeper correlation problem which will take more time to solve – and which are obviously more painful for the team." 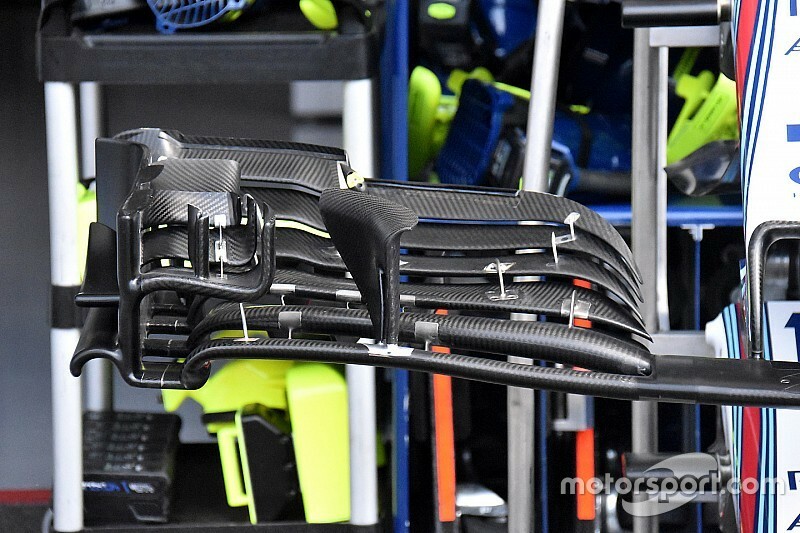 The new Williams wing sees numerous design facets altered in order to change the behaviour of the airflow across it and over the rest of the car. 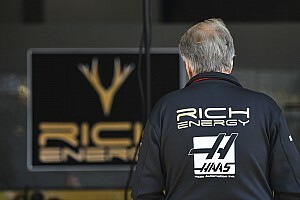 The hope will be that this will result in an overall better balance and performance - which should improve laptime. 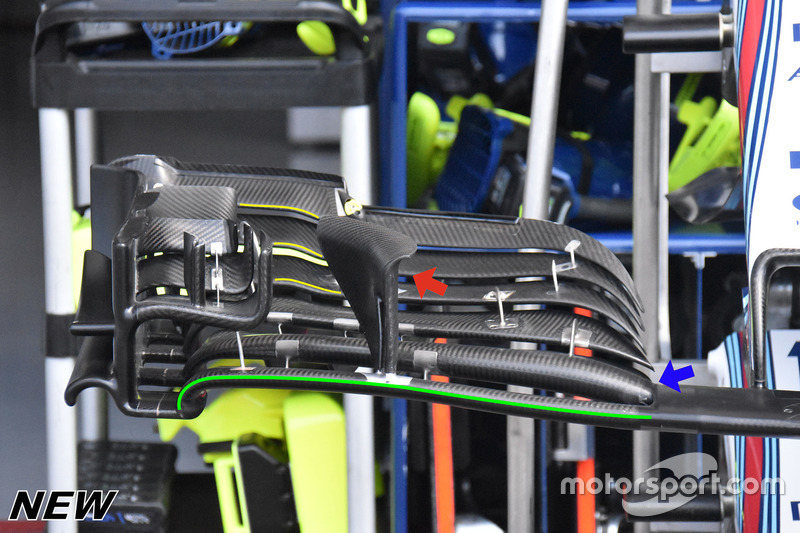 As can be seen in Giorgio Piola's exclusive photograph, the mainplane's leading edge has been significantly altered (highlighted in green), as the surface is upturned in order to encourage more airflow to travel under the wing. This tweak will also change the wing's pitch sensitivity, which is its relationship with the ground as the car brakes and accelerates. This should help make it more predictable than the older version. Allied to this alteration is the connecting point with the neutral central section of the wing (blue arrow). This also has an impact on the generation and vorticity of the Y250 vortex that forms here. The shape and characteristics of the first flap above it has also been revamped in order to co-ordinate with the previously mentioned changes. The r-shaped cascade (red arrow) now features a scrolled upper edge, in order to shape the vortex that is inevitably shed from its trailing edge. 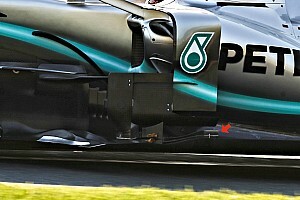 The outboard flap geometry has also changed, with a more pronounced arch appearing in order to control how the airflow is distributed ahead of the front tyre, improving the outwash effect.